Interested in a forensic science career? Here is an overview of some of the jobs in the field and the education required. Forensic nurses usually help with investigations that involve perpetrators and victims of child abuse, domestic violence, sexual abuse, or other trauma. Part of the job includes collecting blood and hair samples, DNA, and other evidence. At times testifying in court is necessary. In order to become a forensic nurse, you must first earn a bachelor’s degree in Registered Nursing. Once that is completed, you can take forensic training courses such as the Sexual Assault Nurse Examiner certification or obtain the Advance Practice Forensic Nurse credential. These investigators walk through a crime or accident scene to determine what evidence to collect and how to remove it without causing contamination or disturbing the scene. Everything they take must be documented including where it was found. A bachelor’s degree in forensic anthropology, forensic biology, or forensic science is required. 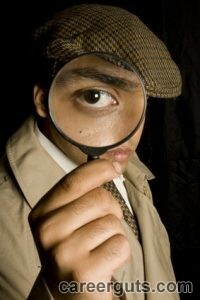 Forensic psychologists determine the mental state of a suspect if there is any question about his or her state of mind. They also determine if the suspect is competent to stand trail and may give their opinion on the sentence or treatment plan. You need a bachelor’s degree in psychology with a focus on criminal justice or criminology, or a bachelor’s degree in criminology or criminal justice with a focus on psychology. Pathologists are responsible for figuring out why and how a victim died. They do this by performing an autopsy, and at the conclusion, they use their findings to determine the cause and manner of death. They also visit crime scenes and work with other forensic specialists such as toxicologists. This job requires 13 years post high school education and training. First you need to earn an undergraduate degree in a medical or science discipline before completing a medical school program. Once you earn your license, you will have to enroll in a four-year residency program in anatomic and clinical pathology. This type of anthropologist examines a badly decomposed human skeleton to determine its identity, cause of death, and to determine if the death was the result of foul play. The fist step to this career is to obtain a bachelor’s degree in anthropology and then earn a PhD. Crime scene photographs are used by law enforcement officers and prosecutors for investigative purposes days and even months after the crime took place. Every part of the scene is captured including the point of entry if a burglary took place, or the body’s position if a murder occurred. You need formal photography training, and several colleges and universities offer forensic photography degree programs. This is a forensic dentist who analyzes bite marks and identifies human remains using dental x-rays. These dentists use their findings to identify missing persons, crime victims, or victims of natural disasters. To work as a odontologist, you must earn a Doctor of Dental Science Degree and take the American Board of Forensic Odontology exam. Criminalists examine all physical evidence from a crime scene and attempt to connect it with a suspect. The evidence can include blood, clothing fibers, and hair. Testifying during a trail as an expert witness is also part of the job. In order to work in this field, you need to have a bachelor’s degree in biology, chemistry, molecular biology, or physics. This is just some of the jobs available in forensic science. If you would like to learn more, contact us. We will be happy to help you decide if a career in this field is right for you.